Ostara is the world’s leader in nutrient recovery, delivering complete solutions for cities, farms and industries. Ostara’s proprietary Pearl® and WASSTRIP® technologies solve nutrient management challenges by recovering phosphorus and nitrogen to create an environmentally responsible fertilizer Crystal Green®. Join the growing nutrient recovery movement with triple bottom line solutions that lead to a sustainable tomorrow. The core of Ostara’s solution is the Pearl. 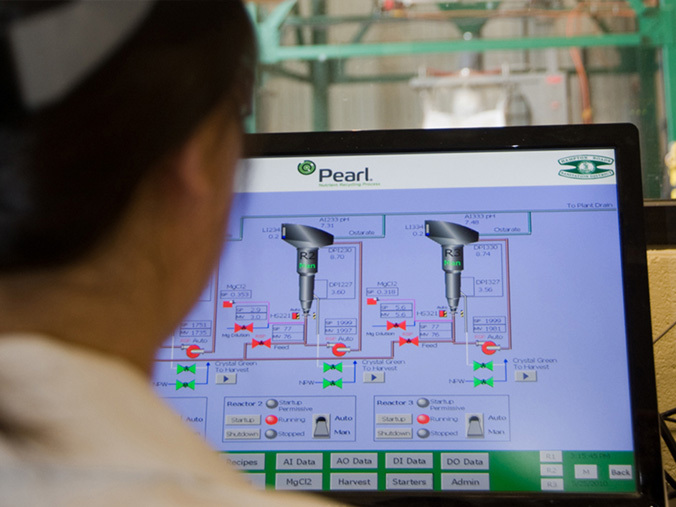 A fully customizable and modular treatment solution, Pearl fits into your main or side-stream operations removing phosphorus from your treatment system by adding magnesium in a controlled pH setting. This allows nutrients to crystallize into highly pure fertilizer granules, which are harvested, dried and bagged – ready for distribution and sale as Crystal Green®. WASSTRIP (Waste Activated Sludge Stripping to Remove Internal Phosphorus) is a value-add to Pearl providing critical benefits to facilities that use anaerobic digestion. Releasing phosphorus upstream before it reaches the digester, WASSTRIP turbo-charges nutrient removal and recovery. 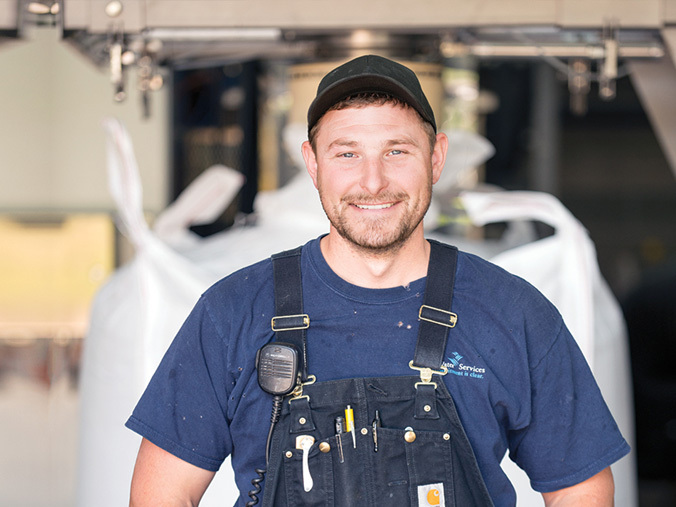 Plus, the process protects digesters and equipment from struvite, improves dewaterability, and reduces biosolids. When you partner with Ostara, you partner with your community, your farmers, and your future, recovering a valuable resource essential to crop growth. The fertilizer we recover, Crystal Green, is proven to increase crop yields, reduce nutrient runoff and improve fertilizer efficiency. Plus, we manage everything from warehousing and supply chain logistics, to agronomy research, branding, sales and distribution, guaranteeing you a revenue stream without any of the overhead. Learn how we’re changing agriculture practices through innovative crop nutrition solutions.